We offer clients support principally through our Business Coaching Service. In addition, we have identified a number of volunteers who can offer advice in specialist fields e.g. website design. We can also signpost you to other agencies for support in specific areas e.g. state benefits. 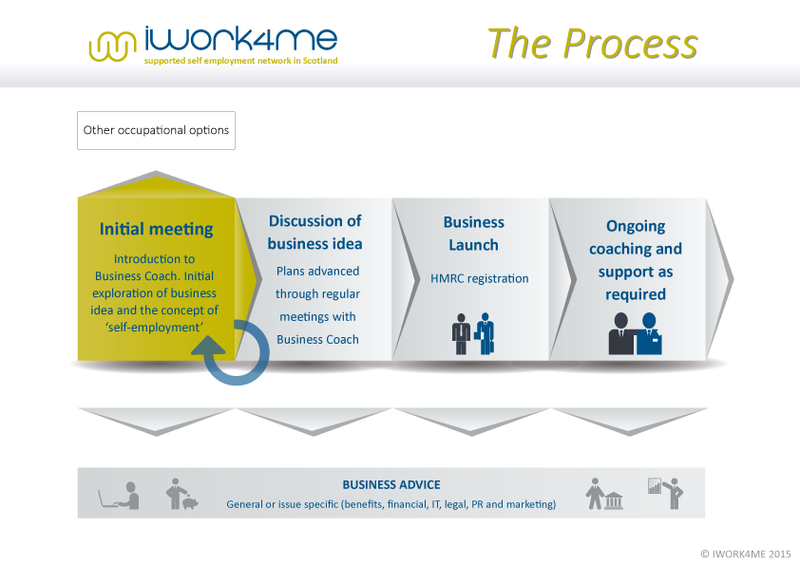 Our model (as above) has been developed through our experiences working with adults with ASC who wish to consider self-employment. Initially, all clients are invited to an informal meeting, normally facilitated by the Development Manager and a Business Coach. At this we discuss the concept of self-employment or in some cases to discuss a particular idea a client may have. A client’s potential business idea APPEARS VIABLE but requires support to take it forward. At this point we fix regular meetings, usually on a six-weekly cycle, during set up (and beyond if required.) In addition we have a growing team of volunteer business advisers too who we can call upon to offer specific business advice around the areas of legal matters, finance, IT and marketing. Self-employment MAY BE a realistic way forward, but more work needs to be done on considering ideas and what would be required. In this case we ask clients to come back to a further meeting(s) to consider the possibilities further. Self-employment is NOT going to be the right way forward and we would signpost to other agencies for further support and advice about other options. We acknowledge that every client is different and therefore requires different levels of support whilst working towards self employment and therefore building relationships that clients are comfortable with is vital.